Schmidt, Christine. " Obsessing over one year of the Quartz Obsession email." Nieman Journalism Lab. Nieman Foundation for Journalism at Harvard, 13 Sep. 2018. Web. 18 Apr. 2019. Schmidt, Christine. " Obsessing over one year of the Quartz Obsession email." Nieman Journalism Lab. Last modified September 13, 2018. 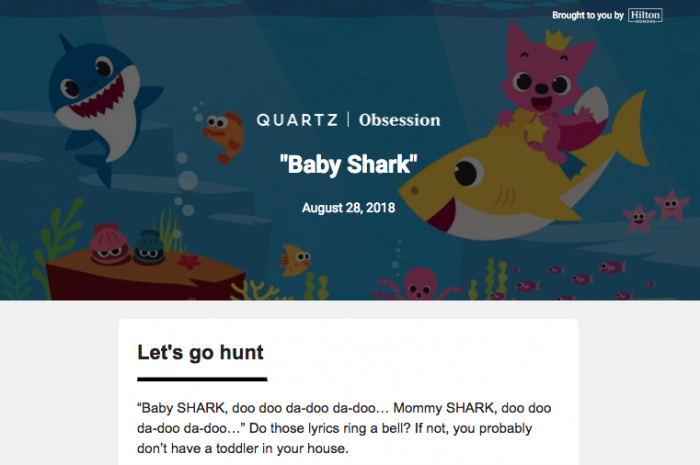 Accessed April 18, 2019. https://www.niemanlab.org/2018/09/obsessing-over-one-year-of-the-quartz-obsession-email/.